Caramel Coated Nuts! These nuts are absolutely delicious on their own as a snack, or you can use them in cakes, desserts, apple pies, the sky’s the limit! 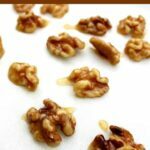 Easy to make and flexible for you to choose your favorite nuts. The recipe is easy enough and doesn’t take long to make. The caramel coating the nuts is so yummy! There are so many things you could use these nuts in, perhaps as decoration on a cake, add them to an apple pie, sprinkle some over ice cream, even add them to a salad to add an extra dimension. So feel free to be as creative as you like and let us know in the comments below what you used these for! 1. In a saucepan, add the butter, honey, brown sugar, and heavy cream, and stir over medium heat. Allow the mixture to gently simmer for about 1 minute, then add the nuts and combine. Bring the mixture back to a gentle boil and wait about 1 – 2 minutes until you see the mixture go a golden colour. (Don’t leave it unattended because it might burn). Then turn the heat right down and let it simmer for 5 minutes. NOTE: Please take care because this caramel is very HOT so do not attempt to taste it or touch it with your bare hands! 2. 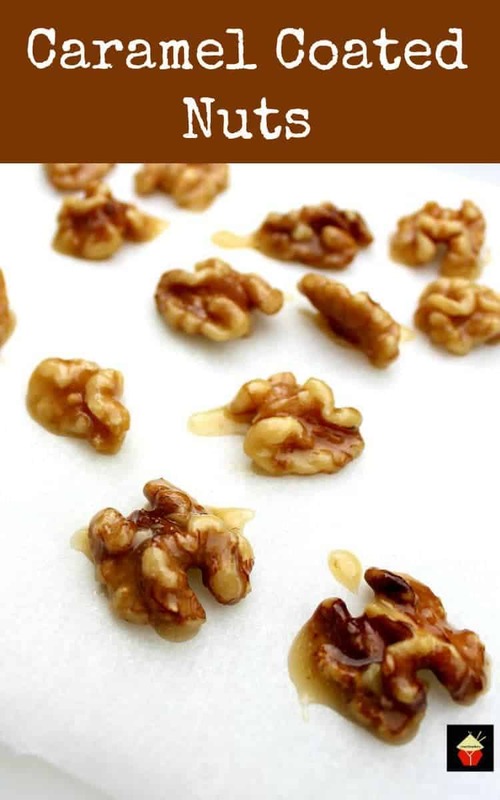 Remove from the heat and pick out the nuts using a spoon and lay them apart on a piece of parchment paper. Try to drain the nuts a little before you place them on the parchment by letting them drip when you spoon them out of the pan. Allow to completely cool and dry before storing in an air tight container, or using for decorating a cake etc. You may have a tiny bit of caramel sauce left over in the pan. Pour it over some ice cream or simply discard! In a saucepan, add the butter, honey, brown sugar, and heavy cream, and stir over medium heat. 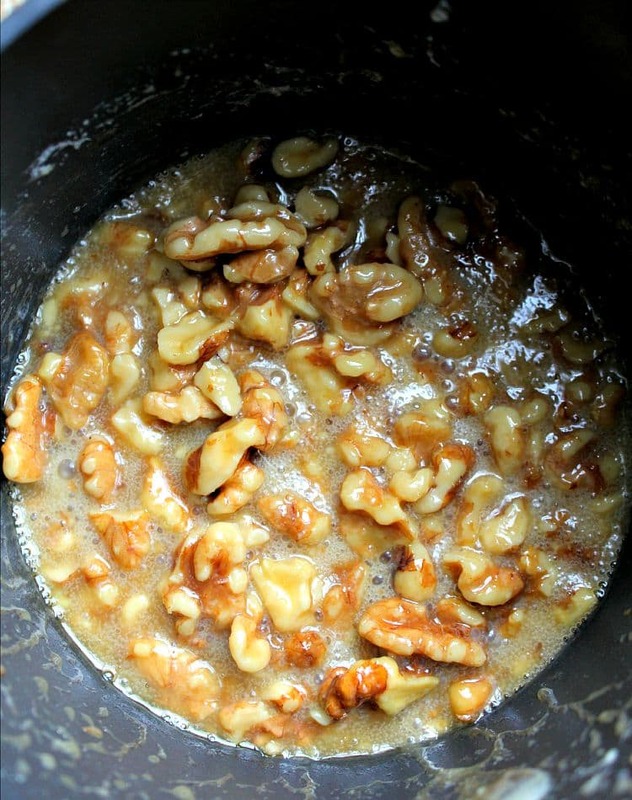 Allow the mixture to gently simmer for about 1 minute, then add the nuts and combine. Bring the mixture back to a gentle boil and wait about 1 - 2 minutes until you see the mixture go a golden colour. (Don't leave it unattended because it might burn). Then turn the heat right down and let it simmer for 5 minutes. 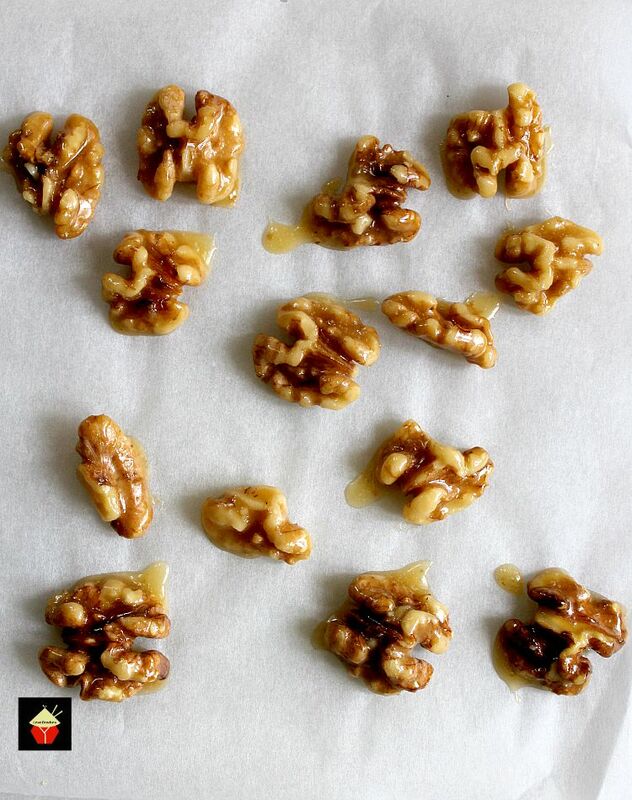 Remove from the heat and pick out the nuts using a spoon and lay them apart on a piece of parchment paper. 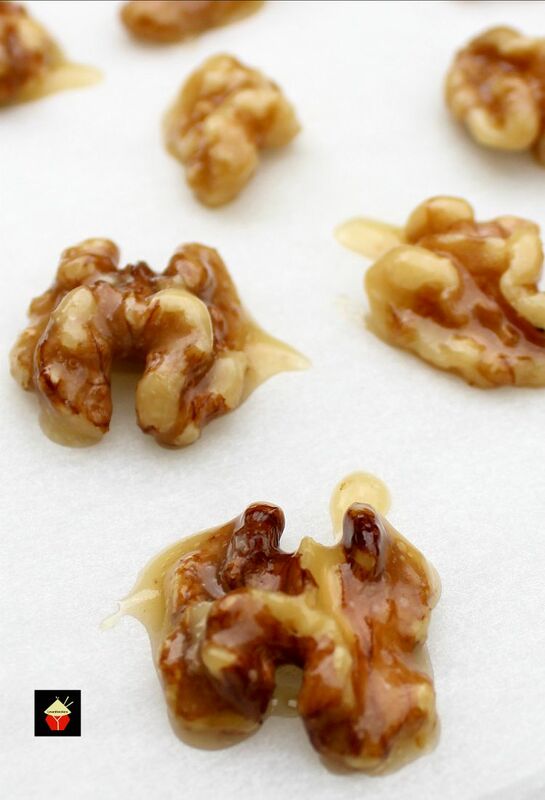 Try to drain the nuts a little before you place them on the parchment by letting them drip when you spoon them out of the pan.